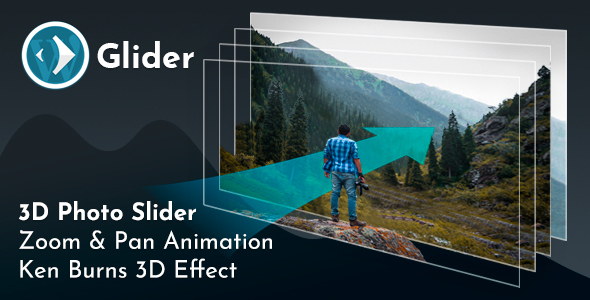 Glider – is a slider plugin for WordPress that automatically animates layers of still imagery for creating illusion of 3D. It pans and zooms photo in any direction to achieve Ken Burns 3D effect. As layers you can use any images or even shortcodes to construct custom text or buttons. Or you can just pick a ready 3D photo from our library that is available exclusively for users purchased our plugin. We regularly update library with new images. Feel free to send us photos from public photostocks (via comments). And we will do our best to add them in the library in next releases.